Copyright protects original “pictorial, graphic, and sculptural works,” which include two- and three-dimensional works of fine, graphic, and applied art. Under certain circumstances, these works should be registered with the U.S. Copyright Office. For more information on Copyright Law, visual arts, and the registration requirement, please see the Copyright Office Circular #40, "Copyright Registration for Pictorial, Graphic and Sculptural Works." Harvard Law School also maintains an excellent web site dedicated to copyright and moral rights with respect to artist's rights. Fair use is critical to visual artists. Please see this report by the College Art Association about the importance of fair use and misconceptions about permissions and copyright. The websites listed below provide current and helpful information on the copyright issues facing creators and performers. 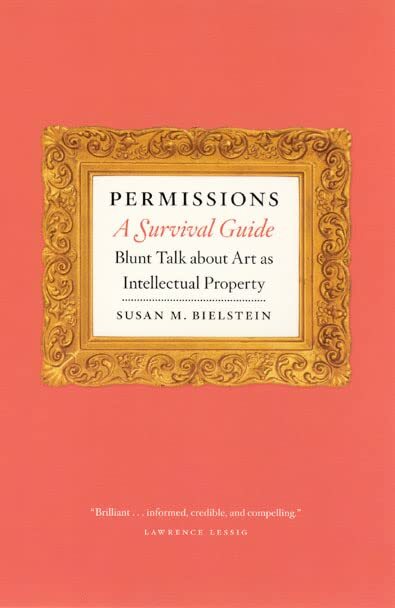 Permissions, a survival guide : blunt talk about art as intellectual property by Susan M. Bielstein.